Our lawns are an important part of the aesthetics of our homes. Your lawn provides a lush landscape for the exterior of your home, but to keep it green and vibrant instead of brown and patchy, it requires continuous maintenance. Some people find mowing the lawn an enjoyable weekend hobby while others tend to think of it as one of those unavoidable chores. Proper lawn care should be a priority if you want to maintain a perfect lawn. It’s not just for the aesthetics that you should keep the grass well-groomed; excessive growth can actually impair the vigor and strength of the grass. The grass needs regular cutting as well as watering and fertilizing to keep it looking its best. Depending on the season and climate, your lawn care program may vary. When the grass begins to grow in the spring, it’s important to aerate the ground so that water and air can penetrate to the roots of the grass. 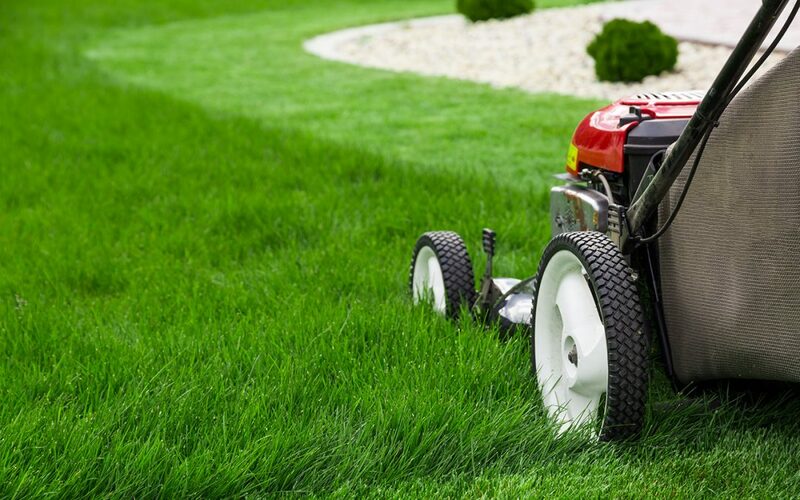 In cooler months when growth slows down, you can probably get by with mowing once every 10 to 15 days, but with the arrival of warm weather, you should shorten the times between cutting to at least once a week. It’s also better to cut the grass when it is dry, which usually means mid-morning to late afternoon once the dew has evaporated. Before the arrival of winter, it’s important to remember to remove the leaves from the lawn before they begin to break down and decompose, causing a potential risk of mold, mildew, or other forms of diseases that can attach to the grass. The lack of water can inhibit the development of the grass and even cause damage, especially during very dry seasons. However, overwatering can also become a problem with your lawn. In general, Florida lawns should be watered 1-2 times per week in the spring and 2-3 times per week in the summer. The best time to water the lawn is very early in the morning, giving the water time to penetrate the ground before the heat of the sun can cause it to evaporate. The water should be applied just as it would fall in nature meaning with an even distribution, so using a lawn sprinkler is optimal. Watering the grass alone is not enough. It’s important to feed the lawn as well. The grass needs to be replenished with important nutrients that are consumed by growth, lost below the root level, or eroded away by weather. The lawn should be fertilized regularly throughout the year. Although there is no one-size-fits-all fertilizer for lawns, it’s best to use a fertilizer made especially for grass with slow release nitrogen that’s rich in phosphorus and potassium. It’s also important to apply any fertilizer according to the manufacturer’s instructions and distribute evenly to avoid burn spots. Caring for your lawn may take a little extra time and work, but the results are rewarding when you know how to maintain a perfect lawn. Gable Home Inspections serves Southwest Florida with home inspection services including wind mitigation inspections, termite inspections, mold inspections, and pool inspections. Contact us if you require inspection services for your property and we will be glad to schedule an appointment!